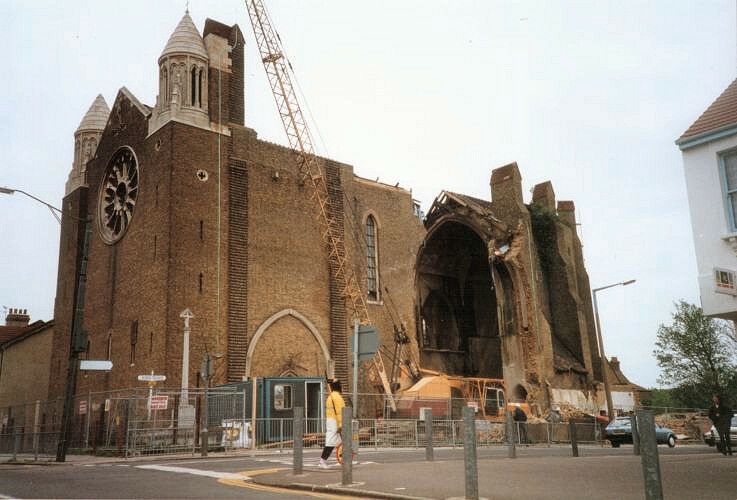 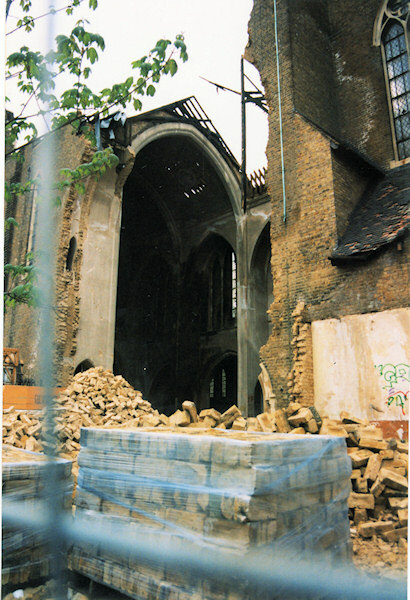 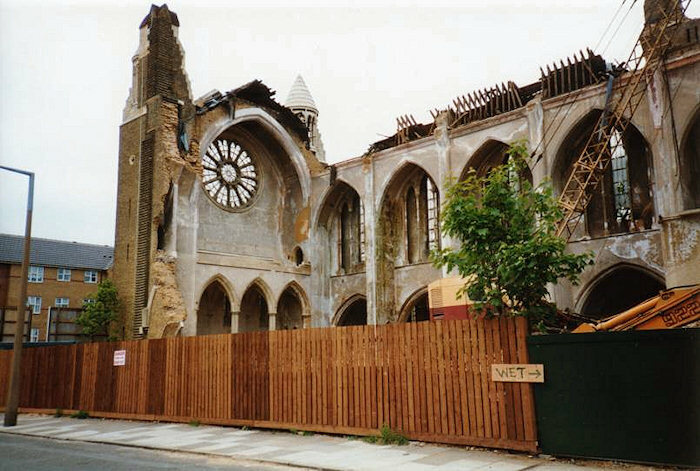 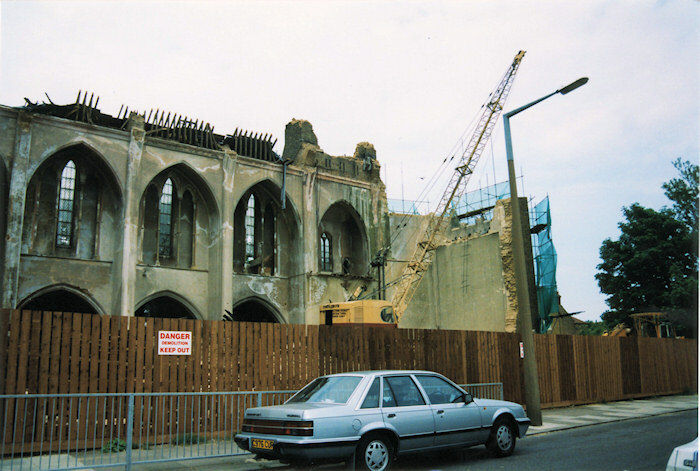 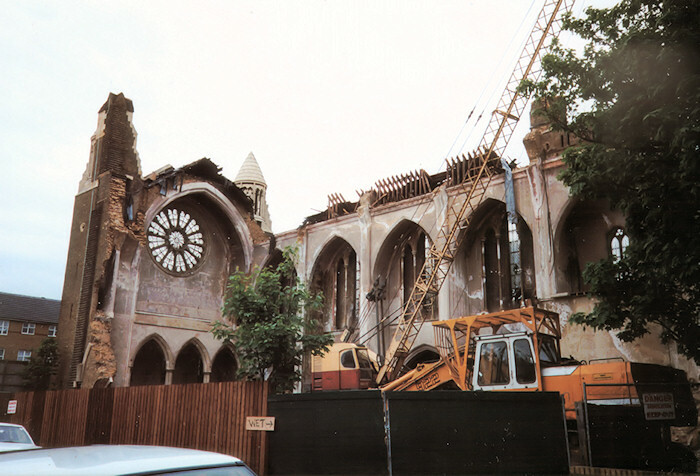 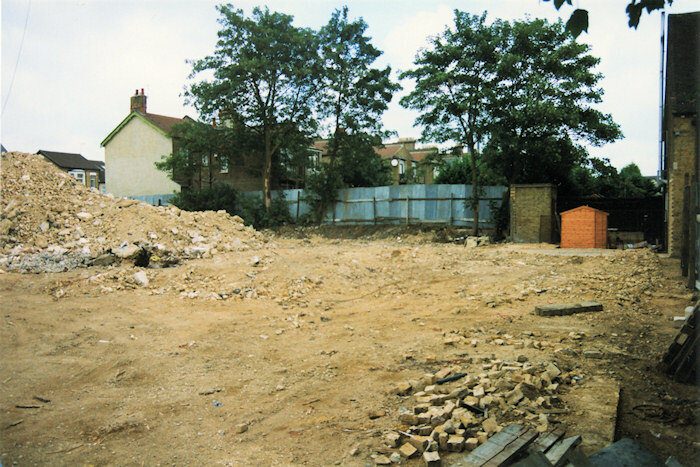 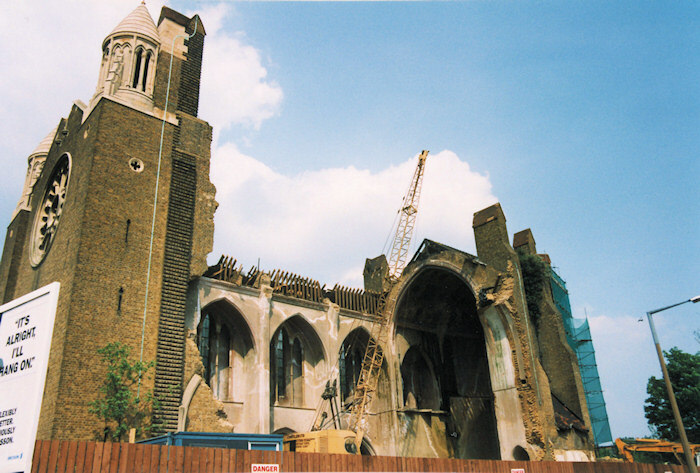 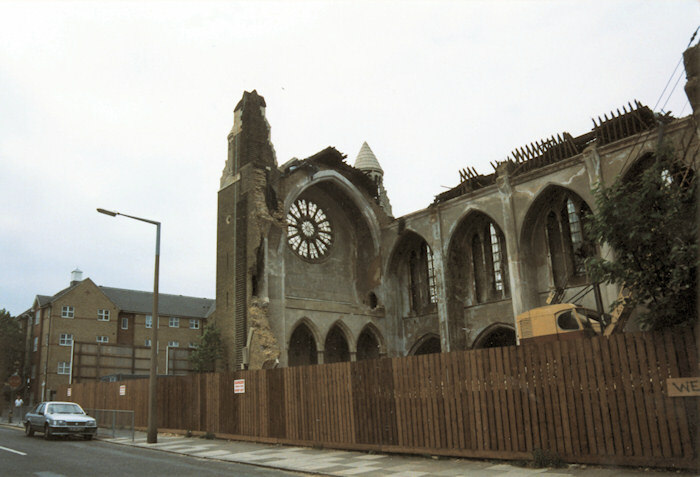 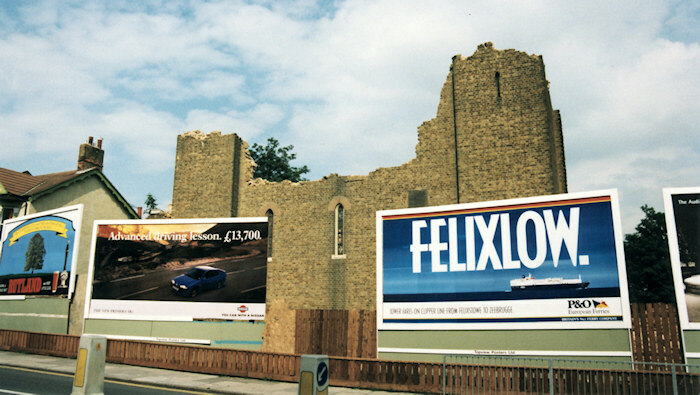 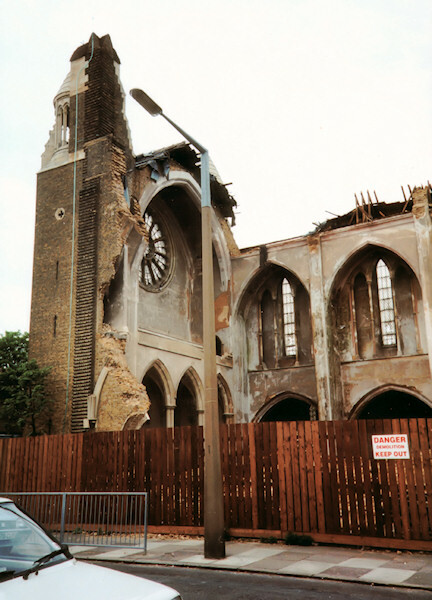 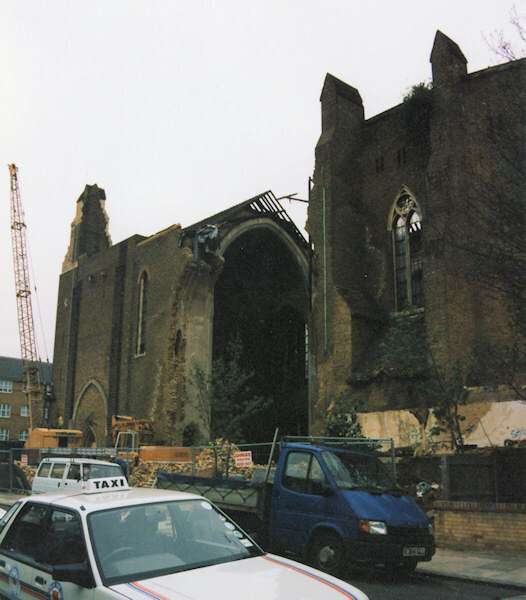 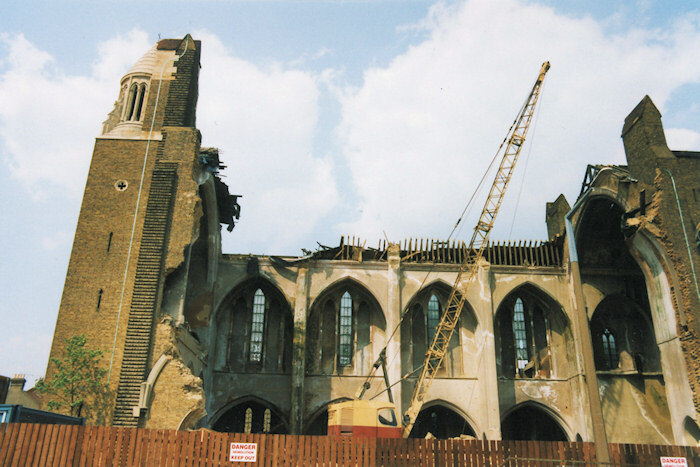 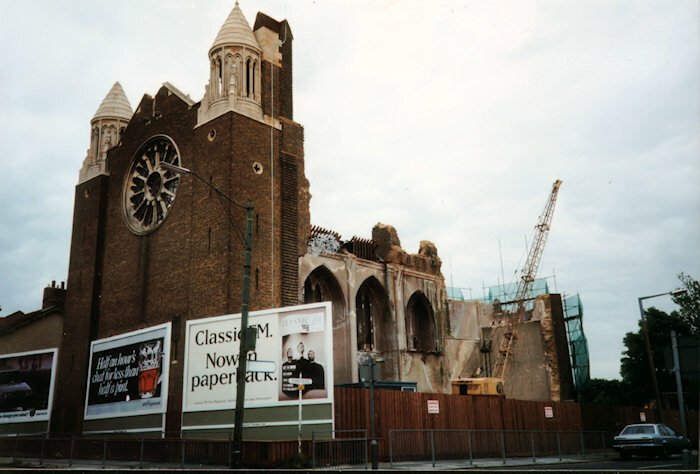 St Erkenwald's was finally demolished in 1995, whilst I was away at university. 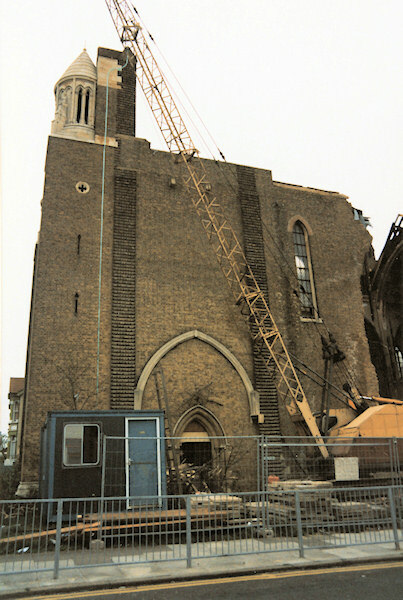 Fortunately, two members of my family were aware of my fondness of the church, and they captured some significant shots of the demolition for me. 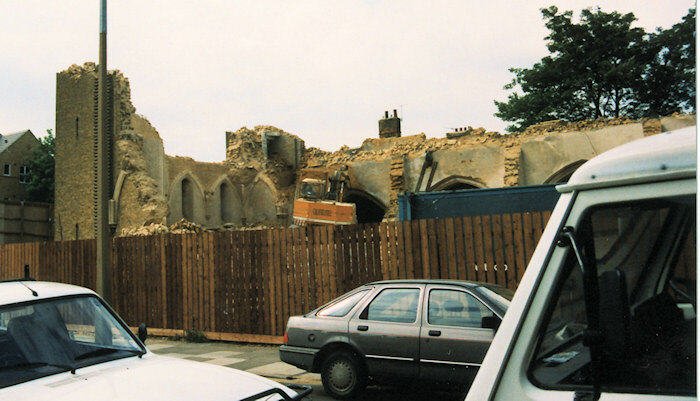 These family shots are also supplemented by images from local historian Ian Yearsley, and John Underwood, a local man who responded to my request for more images in a local newspaper. 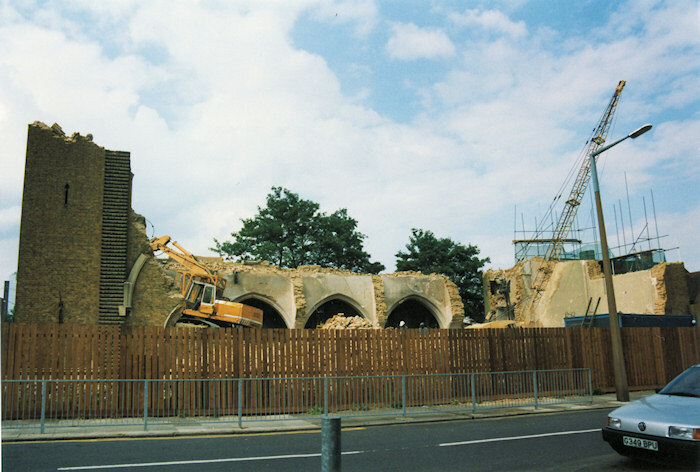 Thanks are due to both, for permission to reproduce all of these images. 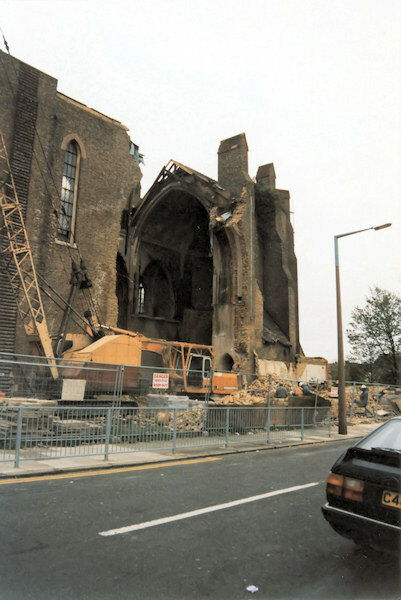 Image is dated 28th April 1995.